I was born into a working-class family in Targoviste, a small town in Romania situated around 50 miles from the capital, Bucharest. My childhood was a normal one, mostly happy but marked negatively by the frequent conflicts between my parents. Growing up, they didn’t have much to offer to me and my brother. They struggled to give us as much as possible, and at the end, they did offer us quite a decent life, but all those shortages can be quite difficult to understand, especially for a child. I knew since then, part of the answer. They didn’t give me more because they didn’t have more, not because they didn’t want to. Thinking more about this, years later, I actually realized, that this whole situation was actually more of a blessing for me, and I am now really grateful for it. Because not having everything gave me an incredible motivation to grow, overcome my situation, be creative and don’t ever give up on my dreams. Wanting to do great things with my life, I always knew that staying in my small town forever is not an option. So, at 19, after finishing high school, I got admitted to Politehnica University of Bucharest, to study Computer Science. My brother was the one that convinced me to pursue this subject of study, as I wasn’t very sure on which path I should choose because I was not having enough self-confidence that I would be good at it, even though I always was better at this fields of study in school. I have to thank him for that. Going to University was by far the most important moment in my life at that time. It was hard but beautiful at the same time, the whole experience. At first, it was a total shock for me. Between all the big changes in my life, like leaving home for the first time, living in a college dorm with three new girls, taking care of myself and all that, school was not that easy anymore either. Even though I always liked studying and was one of the best students in my class, University was at a totally different level. It was really difficult to adjust, as I started to think again that maybe I wasn’t good enough for this, that it’s not something I can do, and I should give up. Luckily I didn’t do that, and with lots of work, in time, I managed to adapt and eventually finish the University with both a Bachelor’s degree and Master’s degree in Computer Science. From my second year at University, I started thinking seriously that I should start working. I always wanted to have financial independence, as I also knew deep down, how difficult it would be for my parents to sustain me over the course of the next years of study. So, I started to search for jobs. I had so little self-confidence that I thought that nobody will ever hire me, so I took the first job offer that I received. I started to work part-time as a junior web developer at a small IT company. Looking back at that time, I can’t say I learned much there, as the company itself and the people in charge of it were not very interested in teaching me something or giving me interesting projects, so I could evolve professionally. And this was not happening just for me. Months later I realized this was their thing. They were mostly hiring students, paying them very small salaries and in some ways taking advantages of them. For example, in my case, they didn’t make me a contract even after 6 months there, even though they promised me that since day one. So, I was working illegally all that time, with no paid taxes, with a salary of just 90$ a month. But considering all this, I’m honestly happy I’ve had the chance to work there. I didn’t have the chance to learn much programming there, but I learned other valuable things that helped me through my life. All I’ve experienced that time, gave me a much more sense of what the world really is. And it made me realize that I want more, that I deserve more. There had to be something better out there. I started to search for a new job and lucky enough, in a couple of days I started working at Codeinwp.com. At that time, it was a really small agency, in a tiny office, with only two other employees besides me. We were all kind of the same age, students with no money, no major work ( or as a matter of fact, even life ) experience but with big ambitions. It was obvious for me, from the start, that this was a very different company than the one where I’ve worked before. I got my contract signed in the first two days, I got payed better, I got interesting projects to work on, I got people helping me learn. And I got something that I didn’t know existed in other companies. I got freedom and trust. Lots of trust. The company is co-founded by Ionut Neagu, who was at that moment living in France. And he was running the business from there, miles away from us, not knowing what we’re doing all the time. I don’t think many people would be able to do this. And do it successfully. I also think that part of his success in running this business is his way of being, as he is genuinely one of the most generous and kind-hearted people I’ve met. Always there for everyone. The first couple of years in the company were a bit tough, especially for Ionut, as he had to always find new projects and customers to make sure we are making enough money to sustain us all. At that time, I didn’t realized that, but now I understand how difficult it was for him sometimes, and I appreciate him more. Here is where I also first encountered WordPress. It was a new concept, not just for me, but for the other guys too. And we started to learn it, step by step, project by project. And it changed our lives. In 2014, the whole company made a risky change, that proved, in time, to be a great choice. We launched Themeisle.com, a marketplace for our own WordPress themes and plugins, and also launched Zerif Lite, that gradually became one of the most popular themes on the wordpress.org repository. Currently is used by more than 100.000 users. The road was not an easy one, but 5 years later, almost 500,000 people in the world are using our products. I still can’t believe that so many people are influenced by something that I’ve done. Always thought that is difficult for a common man to have an impact on the world. But I had an impact too, in my own way. The first time I visited a foreign country was in 2014, at WordCamp Europe in Sofia, Bulgaria. I remember it like yesterday. It was so exciting for me. Though, I don’t think I’ve realized, at that time, the true meaning and dimensions of a WordCamp and all the great things happening in the community. I think I was too amazed of just having the opportunity to travel. But this was not going to stop here. We got the chance to travel to all major WordCamps in Europe, and discovered the joy of participating as volunteers too ( and organizers now too). I’ve met so many great people, from all around the globe, I’ve learned so much from all the different cultures. And last year, I’ve got the chance to go somewhere I’ve never imagine going. We went to New York, and joined WordCamp US in Philadelphia. It was such an amazing experience for which I’m so grateful, and hope everyone can have this kind of opportunities. 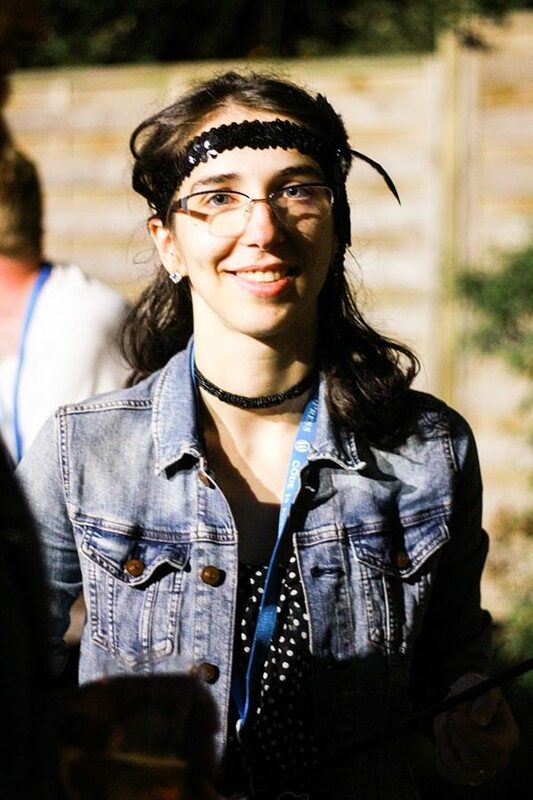 I’m so proud of being part of the WordPress community and part of the ThemeIsle team. It’s so rewarding to start working in a small company and see it grow, alongside you. To see it flourish, starting from almost nothing and reaching success, after many challenges and obstacles along the way. As cheesy as it may sound, it’s almost like seeing your child grow and fulfill his dreams. And as I mostly struggled thinking I wasn’t better enough at the beginning of my life, all these experiences made me realize that you just have to work for your dreams, don’t ever give up, and realize that always, even though somebody will be better than you, you are better than others. It’s important the direction you choose to look at. 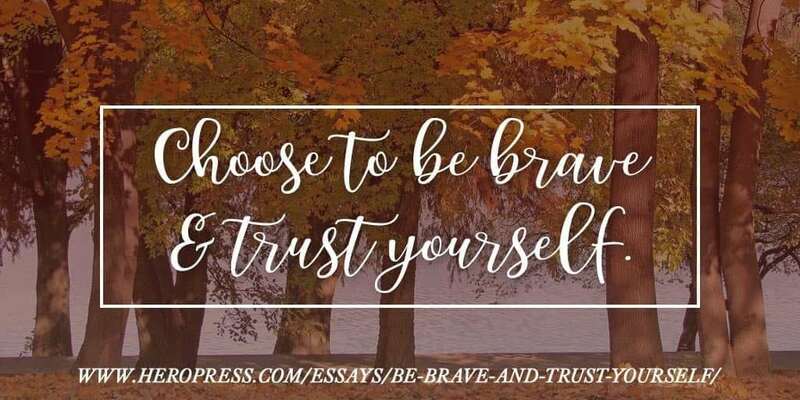 So choose to be brave and trust yourself. The post Be Brave and Trust Yourself appeared first on HeroPress.